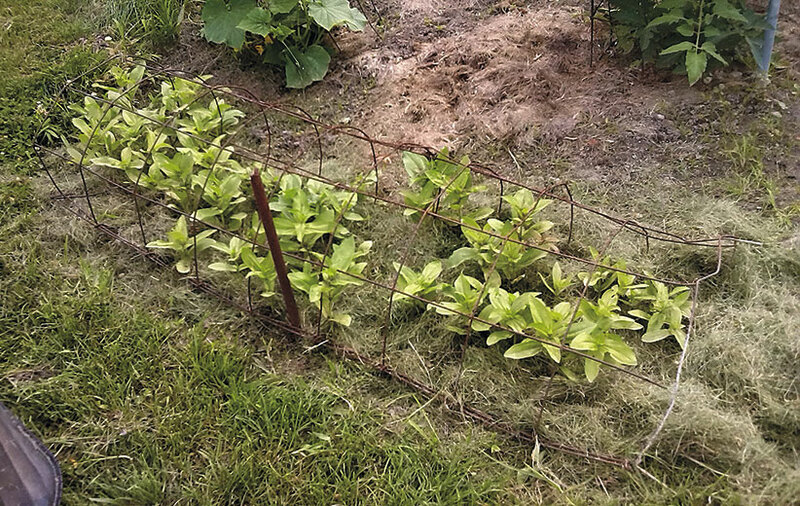 Here’s an easy way to stake a large clump of flowers: Turn a tomato cage on its side. After sowing seeds of taller annuals, such as cosmos (Cosmos spp. and hybrids) and zinnias (Zinnia elegans), lay the cage on its side over the seeds. Push a stake in through the cage to hold it in place as seeds germinate and seedlings start to take off. The annuals will emerge and grow up through the grid. 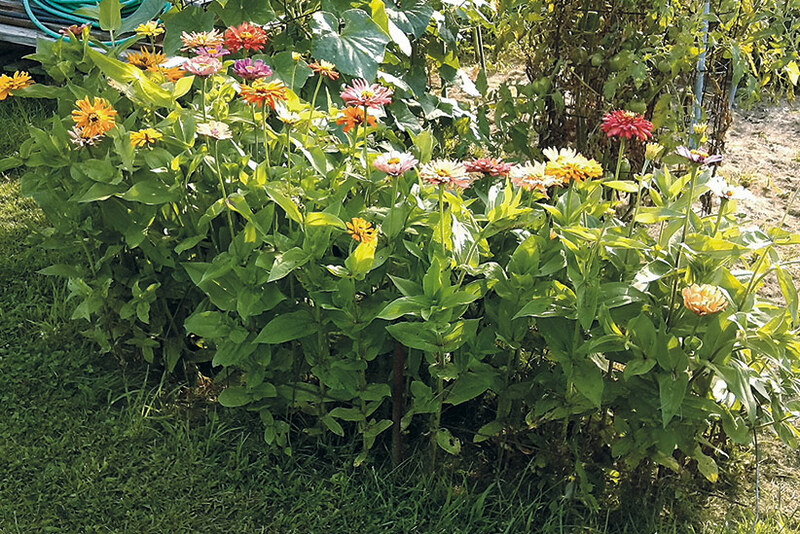 Plants don’t need staking, and eventually, the clump hides the wire.